A day-of-performance lottery for a limited number of seats will be held for WICKED, which is returning to the Detroit Opera House with performances from August 8 – September 2, 2018. Two and one-half hours prior to each performance, people who present themselves at the Detroit Opera House box office will have their names placed in a lottery drum; thirty minutes later, names will be drawn for a limited number of orchestra seats at $25 each, cash only. This lottery is available only in-person at the box office, with a limit of two tickets per person. Lottery participants must have a valid photo ID when submitting their entry form and, if chosen, when purchasing tickets. 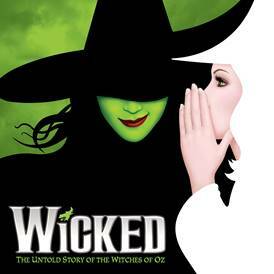 Since opening in 2003, WICKED has been performed in over 100 cities in 15 countries around the world (U.S., Canada, United Kingdom, Ireland, Japan, Germany, Holland, Australia, New Zealand, Singapore, South Korea, The Philippines, China, Mexico, and Brazil) and has thus far been translated into six languages: Japanese, German, Dutch, Spanish, Korean, and Portuguese. Tickets for WICKED start at $43 (includes facility fee) and are available for purchase online at www.broadwayindetroit.com or www.ticketmaster.com, by phone at 800-982-2787, and at the Fisher Theatre and Detroit Opera House box office. For group sales (15 or more) please call 313-871-1132 or email groups@broadwayindetroit.com. Tickets for the open captioned performance may be purchased in person at the Fisher Theatre Box Office or by phone at 313-872-1000, ext. 0. Performance schedule, prices and cast are subject to change without notice.